The United States team recorded its seventh consecutive victory after beating Puerto Rico to clinch top spot in Group A at the Women’s Softball World Championship in Chiba, Japan. The US continued its dominant form at the Zett A Ball Park as it inflicted a crushing 8-1 defeat on Puerto Rico. The result ensured the US progressed as group winners, while Puerto Rico also made it out of the first stage of the event despite suffering its first loss of the tournament. 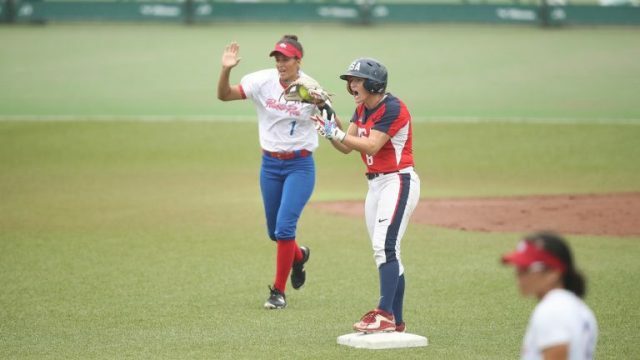 Mexico joined the US and Puerto Rico in booking a place in the next round as it finished third in the group following a narrow 4-3 win over Chinese Taipei. The victory ensured Mexico ended the group phase with a five win and two loss record. The final play-off spot is yet to be decided after The Netherlands’ clash with South Africa was rescheduled for tomorrow due to heavy rain in the Japanese city. All games which were set to take place at the NASPA Stadium were postponed due to weather conditions. In Group B Japan’s match with Australia and Britain versus Venezuela were both rescheduled. Canada was in commanding form in their Group B encounter with Botswana as they racked up a huge 22-0 victory to qualify for the play-off round. Italy also progressed after they beat China 7-0. The group stage is scheduled to conclude tomorrow before play-off games begin on Friday (August 10).